MOMENTUM OPENS IN MALAYSIA ON THE 16th OF OCTOBER TO FIND OUT WHEN IT OPENS NEAR YOU CLICK HERE. So this was actually supposed to come out before my review for the Bridge of Spies because I watched this one before that one. Saw this one in the morning and just got done watching Bridge of Spies about four hours before I started writing this. 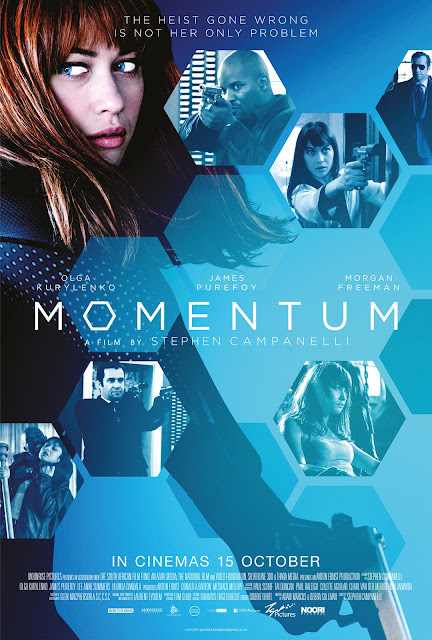 Anyway, Momentum which is not to be confused with a TV movie of the same title which came out in 2003 is the directorial debut for Stephen Campanelli who used to be part of Clint Eastwood's production crew. He was with Clint Eastwood for 20 years until just recently when he left to do this movie. 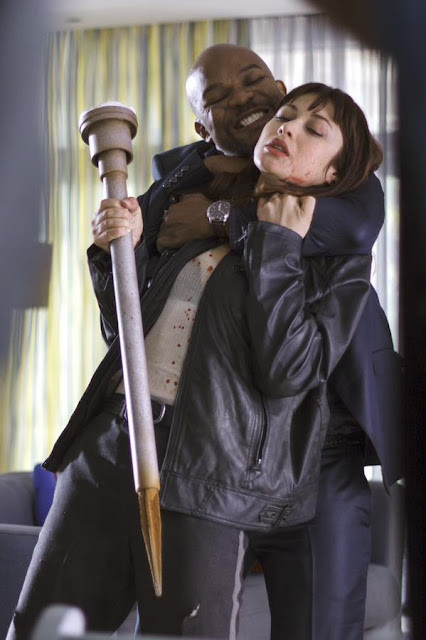 The film stars Olga Kurylenko who first gained attention when she starred in Hitman (2007) and then fame when she starred alongside Daniel Craig in Quantum of Solace (2008), she was also in Oblivion (2013) with Tom Cruise playing Julia the pilot he discovers in the hibernation pod and even with Russell Crowe in The Water Diviner (2014). So you know she's got talent if she can act with those guys. Also in this film is Morgan Freeman who reportedly is in this film because they used to work together on a Clint Eastwood film and British actor James Purefoy who prior to this film has had roles in such films as Solomon Kane (2009), A Knight's Tale (2001), Vanity Fair (2004) and John Carter (2012). If you don't remember him in those, neither did I. Momentum is a pretty simple story, Olga plays Alex Farraday who is a career criminal with very special skills. She gets called back by a former accomplish for a last job which doesn't end so well. He dies. It would seem the partner decided to take on a job with deeper consequences than just a simple bank heist would entail. Now with all her partners dead she's being chased by a man named Mr Washington played by James Purefoy and his crew who want something she has, something that was passed to her by her partner before he died. Where does Morgan Freeman fit into all this? He plays an American Senator who hired Mr Washington to get the thing that Alex has on her. Yes, Morgan Freeman plays a bad man in this movie. As I mentioned before this is the directorial debut for a man who used to work with Clint Eastwood but what I didn't mention was that he used to work the cameras for Clint Eastwood's films. And it shows. Some of his camerawork is pretty good but his directorial work leaves a lot to be desired. And the story too actually, which starts off looking pretty cool and leads you on into thinking you might be in for something interesting but then as the minutes pass you find out there's nothing special coming up. There were even moments where I found that some scenes were completely unnecessary. One comes to mind, during a car chase through a parking facility and about to exit it there's a scene where the car Alex is driving suddenly drives over a security car, there's no preceding shot to show where she came from in order for her to drive over this security car she just does it. Remember I said the film reminded me of Milla Jovovich's early action movies? It's because of Kurylenko's performance which at times were pretty bad and this is from someone who's acted alongside the likes of Tom Cruise and Russell Crowe. I remember her in Oblivion with Cruise and although I don't remember her leaving a good impression on me she certainly didn't leave a bad one either but the same can't be said of her performance here. Not that it was all bad of course but there's just so much bad that the good makes little difference. But the same can't be said of her co-star James Purefoy, he was very good. He really took on that baddie role and made it look good. He seemed very comfortable playing it, even looked like he was enjoying it immensely. I thoroughly enjoyed his work. He definitely gave the character life in my opinion. Why do British actors make such good villains? Then of course there's Morgan Freeman. He never disappoints but there are very few scenes with him but he still makes an impact as the corrupt senator. Honestly I had no idea what I was getting into or what to expect with Momentum. I had not heard of this film and had never seen the trailer either. So going in I had little to no expectation but the opening scenes were pretty good but that was pretty much it. What happens after the opening scenes is a slow crawl into predictability and mediocrity interspersed with some interesting camera work. 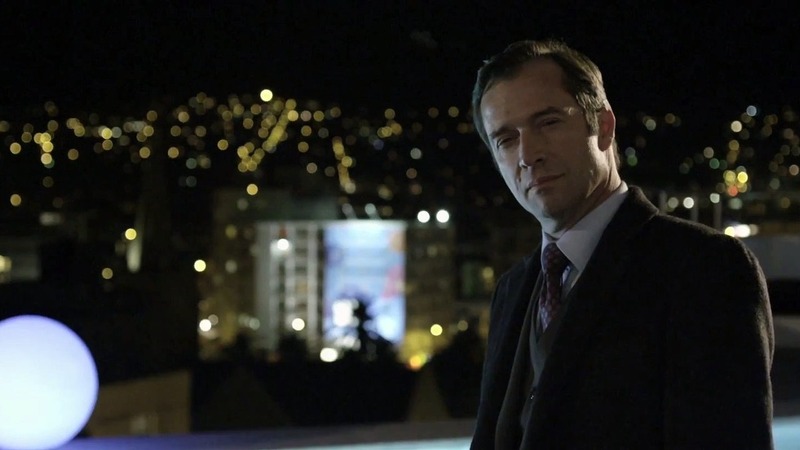 A couple of scenes where pretty good because of what Purefoy does with his character but they don't make up for the rest. 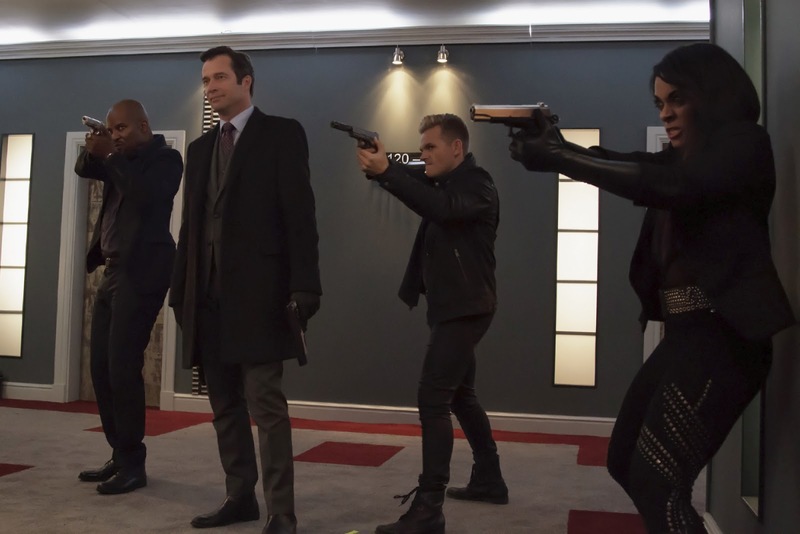 Honestly the only thing I found entertaining was Purefoy's performance which looked to me like he was really having fun with his character. Other than that this was a pretty standard fare. I'm sure since I've mentioned the fact that there's an American Senator who's a bad guy and he wants something bad enough to kill a bunch of people for it you'll probably have guessed that there's a bigger conspiracy involved in all this. Like I said, predictable. So there it is, a directorial debut from a man who used to work the cameras for Clint Eastwood's movies and a collaborative production effort between South Africa and America. A film that's manage to take down a couple of notches the ability of an actor who has performed quite well alongside some notable actors. But despite all that at least one actor got to have fun with his role. I'm giving Momentum a fair 2.5 out of 5. It could have been average if the director could have gotten a better performance from his lead actress and if he could have kept the fancy shots to a minimum and concentrated on the story more, maybe not have led it down such a predictable route. Trying to cash in on an attractive actress is all well and good but if you don't give her something good to work with or can't get a good performance out of her then you're not doing her or your movie any favours. Here's the trailer. I didn't see this when I walked into the press screening. 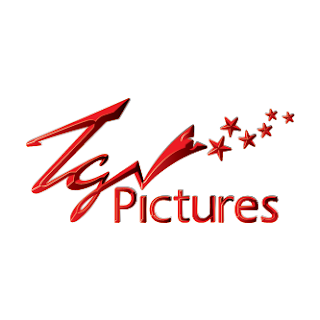 MOMENTUM IS DISTRIBUTED IN MALAYSIA BY TGV PICTURES SO BE SURE TO HEAD ON OVER TO TGV CINEMAS TO CHECK OUT THE SHOWTIMES AND TO GET YOUR TICKETS.